You remember how the story turns out. 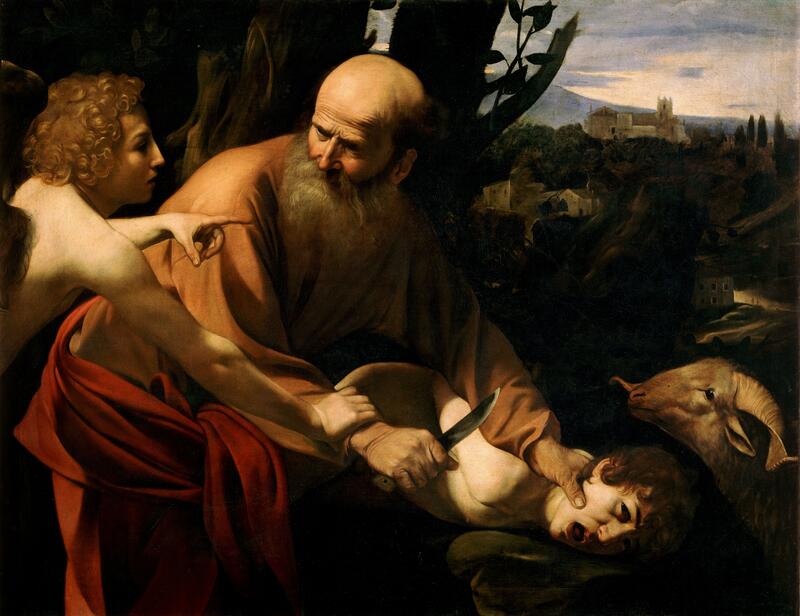 God stops Abraham just as he holds the knife ready to strike his son. I wonder what they talked about on that long road trip to the mountain? Probably a very different conversation walking downhill, back to a different kind of relationship. Did God need to learn something he didn’t know or did Abraham need to prove to himself (and his son) that the promise from God would never become bigger than God himself? I want so much. There’s always the danger of wanting something other than God. Can you imagine Abraham watching Isaac growing up and all the dreams he shapes around his future? And then God calls out of the deep. Sometimes I pray for God to slay my hopes and dreams. They are too painful to bear when I watch them crash and burn. I am afraid. Fearful that I want what I think God has promised more than I want God himself. There’s always that danger that they will become an Isaac to me. Not a chance to declare his purpose and glory to all who see, but just another opportunity for me to prove something to myself and others. What will He ask me to do? How will He awaken me to see that He is of more value than anything I could hope or dream? I am not alone in my efforts to distinguish between the gift and the giver. His Spirit is working within me, leading me up that mountain of revelation. He wants me to see for myself that He is the true delight of my heart. It’s one thing to say this, it’s another to actually seek it. Abraham worshipped God while he cherished Isaac. I worship God and pray to him all day, but the desire of my heart is typically for earthly and mundane hopes. My soul is torn between desires. What a conversation Abraham and Isaac surely had scaling back down Mount Moriah. Isaac must have gotten a whole college degree learning about faith from his father on that trip. I wonder what I will learn as I walk back down the mountain with my Isaac (dream), back toward the God I love. You know Randy, this post was one of the best ones to me personally. However, it makes me a bit mad and a lot uncomfortable. Your honesty about asking to ‘slay your hopes and dreams, ‘ I’ve had the same conversation with God. My problem is not just in the complaining and begging but not listening to His response . He spoke to me through this post and I Thank you for that. When will I grow up enough to seek His voice more?